The Finance Ministry has come out with the fifth set of frequently asked questions providing clarifications for the Income Declaration Scheme. The FAQs provide clarification that fictitious liabilities in an audited balance-sheet can be disclosed under the scheme without linking it to the investment in any specific asset. Further, income declared under the scheme for an earlier assessment year can be taken into account to explain related transactions. As a result of FAQ no. 1 & 2 of the Circular dated 18th August, 2016 issued by CBDT, it is clear that it is not mandatory under the IDS 2016, to declare assets and the assessee can choose to declare the undisclosed income in any preceding assessment years. Section 183(1) of the Finance act, 2016 permit declaration of undisclosed income. Section 183(2) is only optional and applies to cases "where the income chargeable to tax is declared in the form of investment in any asset, the FMV of such asset as on the date on commencement of this scheme shall be deemed to be undisclosed income for the purpose of subsection (1)" of Section 183. Accordingly it is the option of assessee to declare undisclosed income in the form of assets or income. It may be appropriate to interpret that once income is declared, the Income so declared can be used to explain acquisition of assets, write back of fictitious liability, or to explain source of certain transactions which are being or may be questioned during assessment proceedings in terms of Section 142/143, Section 148 or Section 153A/153C. Accordingly, once the income is so declared in any preceding AY, the proceedings under Section 142/143, Section 148 or Section 153A/153C, the assessee can explain the source of acquisition or basis of certain transactions, on the basis of such income not disclosed under IDS. 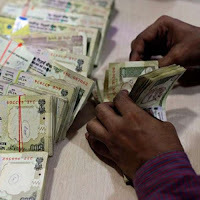 Adverse action will not be taken against the declarant by the Financial Intelligence Unit solely on the basis of cash deposits made in banks consequent to declarations made under the scheme. Finally, the period of holding of assets declared under the scheme will be taken on the basis of actual date of acquisition of the asset and not June 1, 2016, as was clarified earlier. Immovable property The Finance Ministry has also clarified that under the scheme, whenever an immovable property is evidenced by a registered deed, the declarant will have the option to mention the fair market value of such property by applying the cost inflation index to the stamp duty value of the property. Cash payment of taxes or income disclosed allowed to be deposited in bank. There won't be any scrutiny of such cash payment of taxes or deposit of income. Valuation by registered valuers won't be questioned. Entire holding period of asset to be considered to decide capital gains liability. Market value as on June 1, 2016 to be taxed. This value to be considered cost price when property sold. Indexation benefit only from April 1, 2016. Fictitious loans, creditors, advances received, shares capital can be disclosed as income of any preceding AY and these liabilities can be written back as reserves.